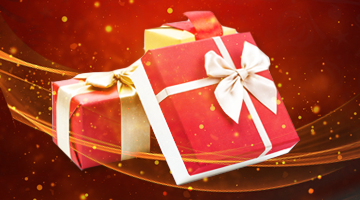 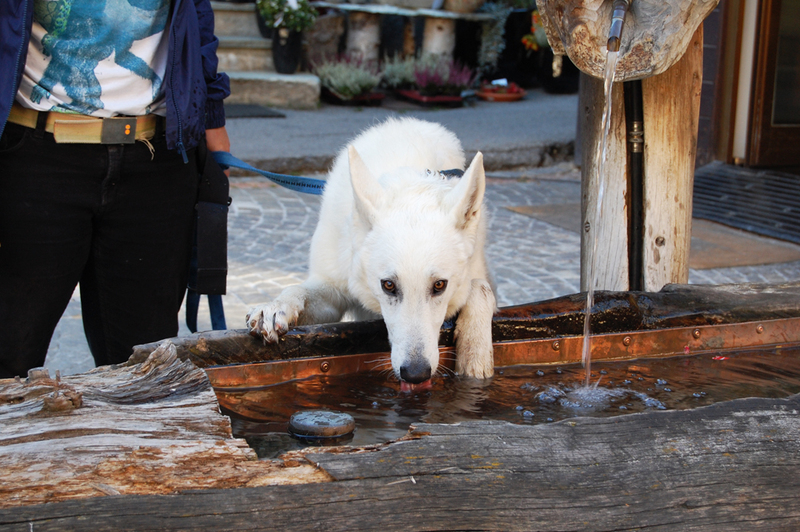 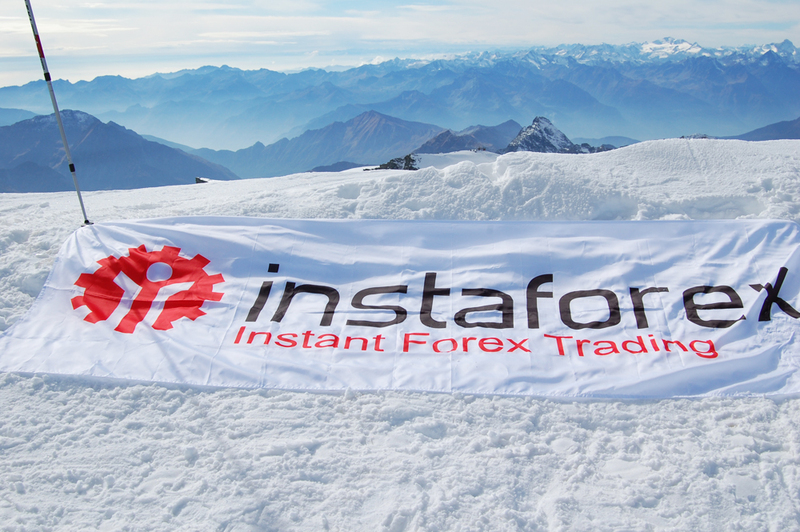 The members of InstaForex Company made the acquaintance of the Alps right in the sky. 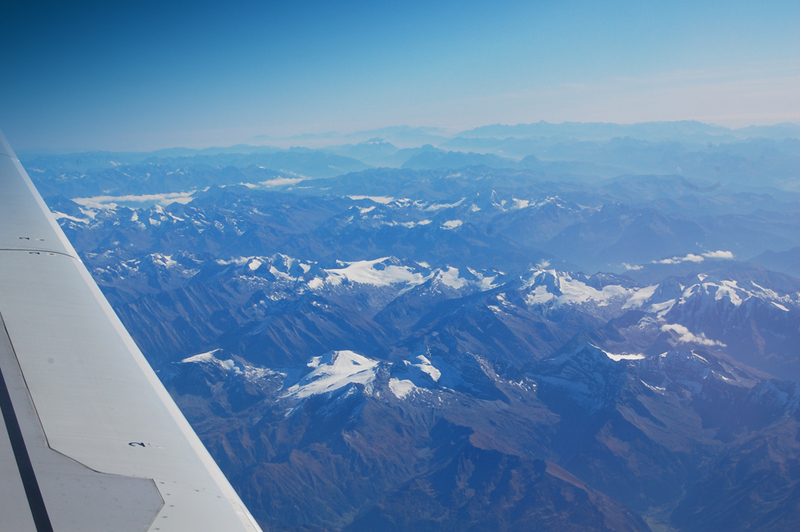 Flying over the peaks of the German, Swiss, Italian and French Alps they had no idea of how magnificent and inapproachable these giants are. 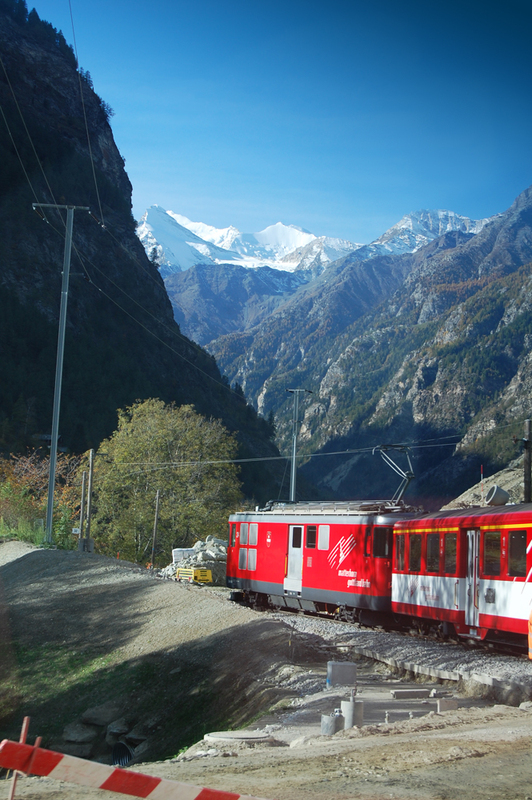 The closer you get to the mountain chains, the narrower the road appears and you attain the elevated feelings of being allied to something mighty. 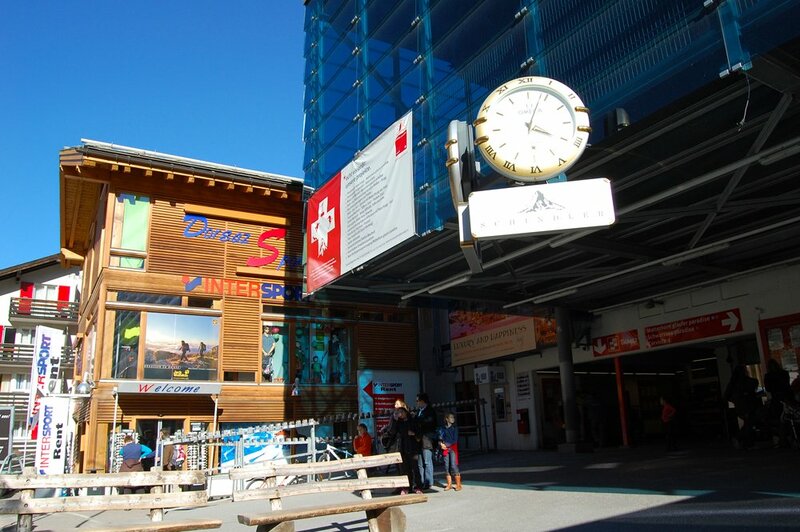 The very mountain lift that sends the skiers, snowboarders and alpinists to the heart of the Alps. 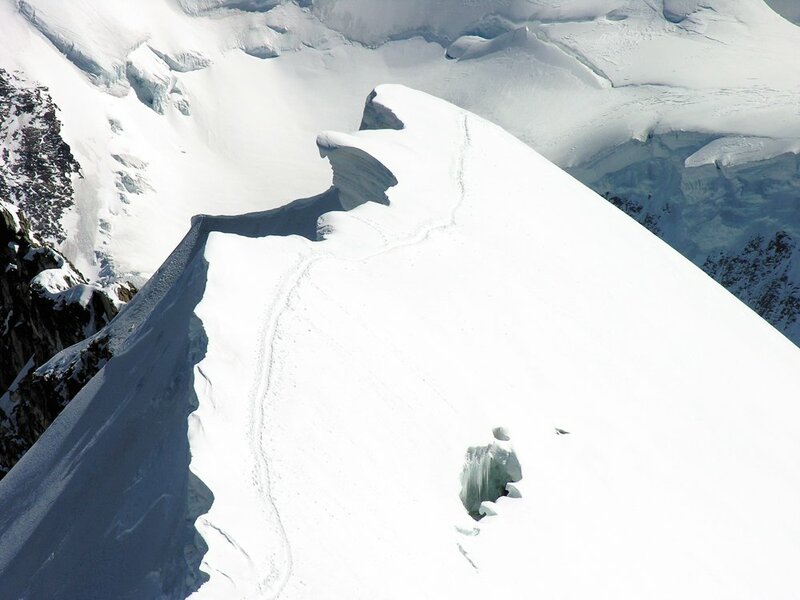 The most dangerous on the way to the peak is not the mountain sickness, the lack of oxygen or the icy flanks, but the snow sink holes, many of which were over 10 meters deep. 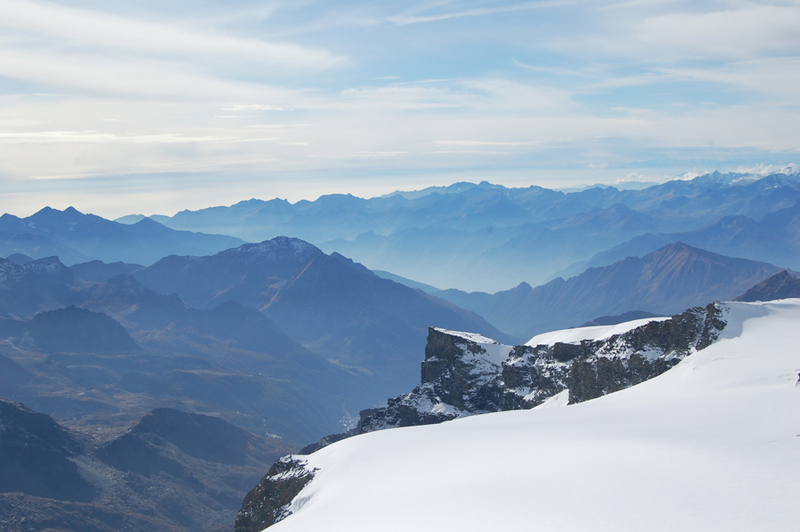 Overwhelmed by the picturesque views and the rarefied air we thought of taking up the base jumping, since the Pennine Alps are a very favourable for that place. 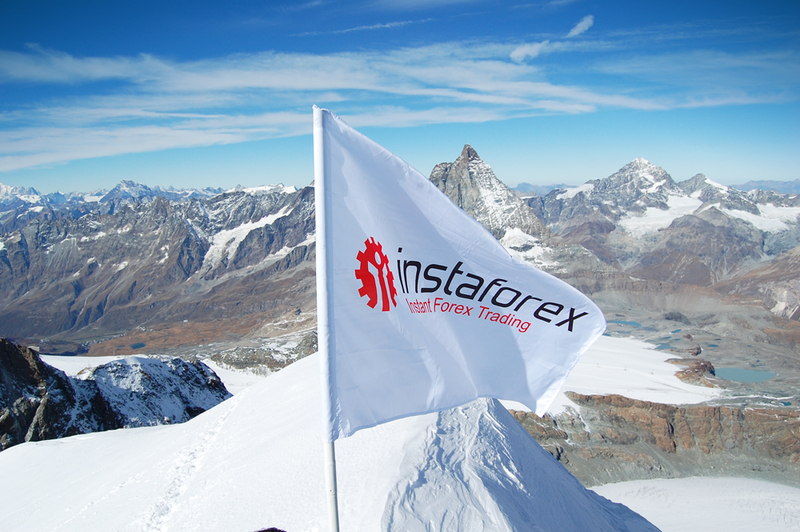 In the end, having reached the highest point of Mount Breithorn, the flag of InstaForex Company was planted at the height of 4165 meters above the sea level. 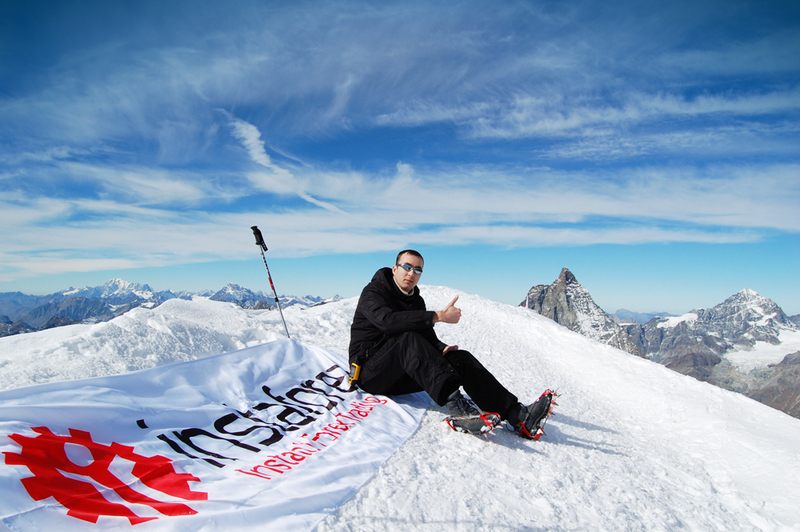 The Company’s logo has never been so much elevated. 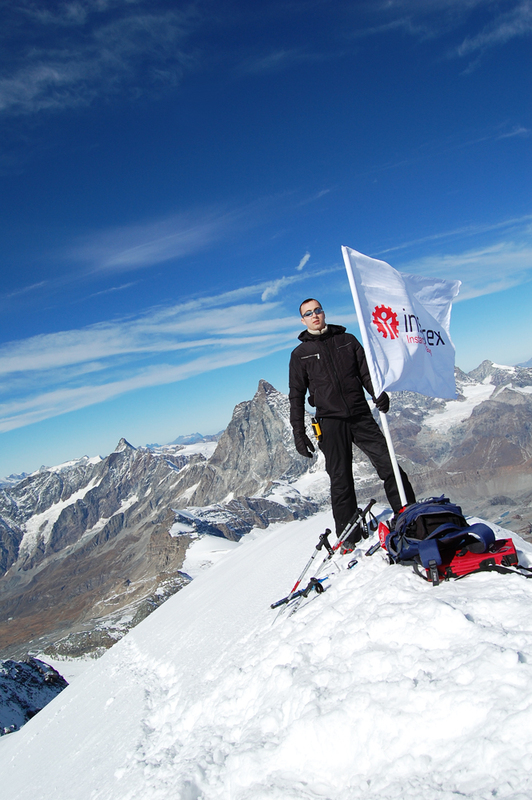 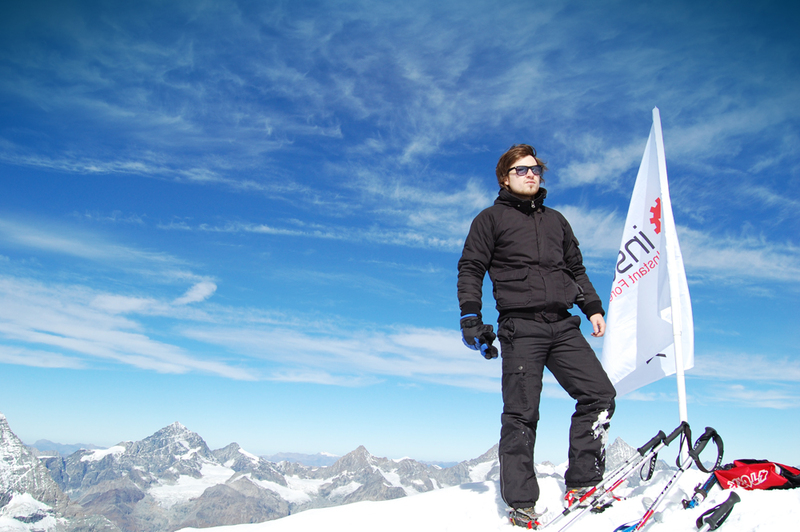 Compulsory pictures with the flag of InstaForex on the background of the real symbol of the Alps – Mount Matterhorn. 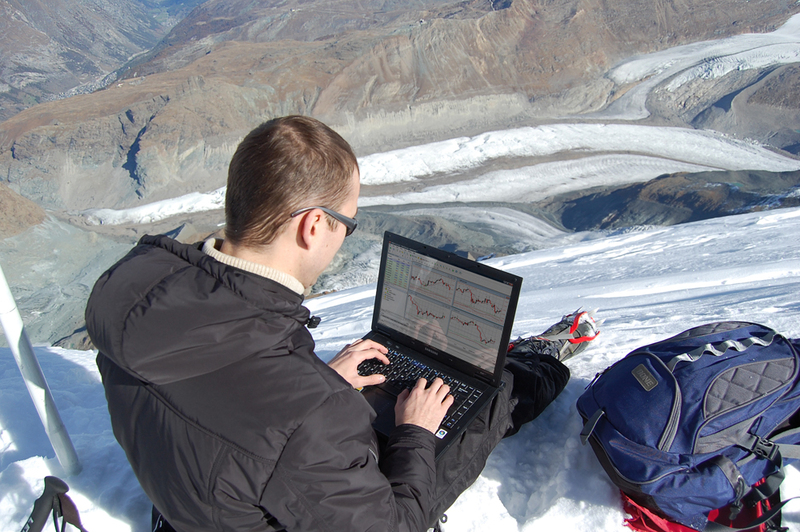 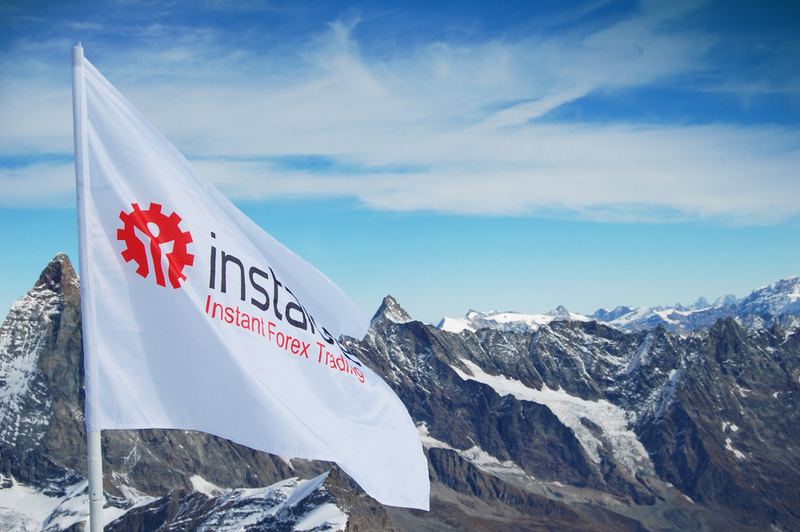 Another mission of InstaForex employees after fixing the flag was conducting a trading session via InstaTrader platform on Mount Breithorn peak. 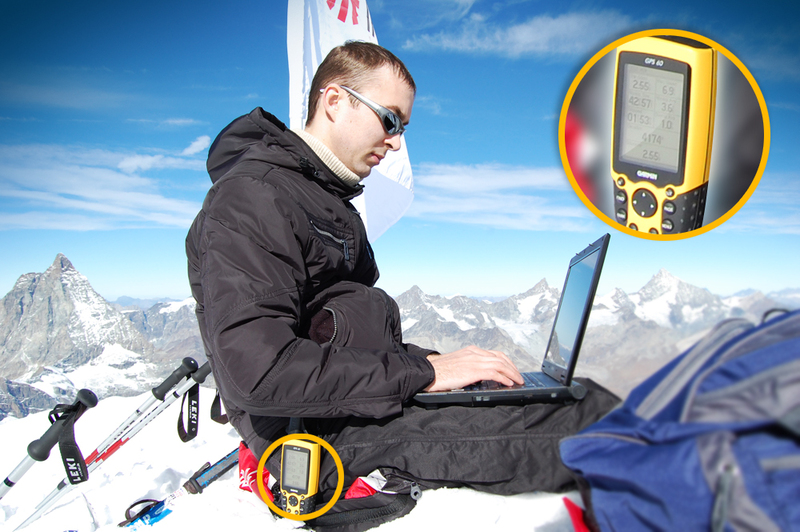 Thanks to the access to the mobile connection, the enduring equipment and the persistence of the mountaineers a new record was set – the highest mountain trading! 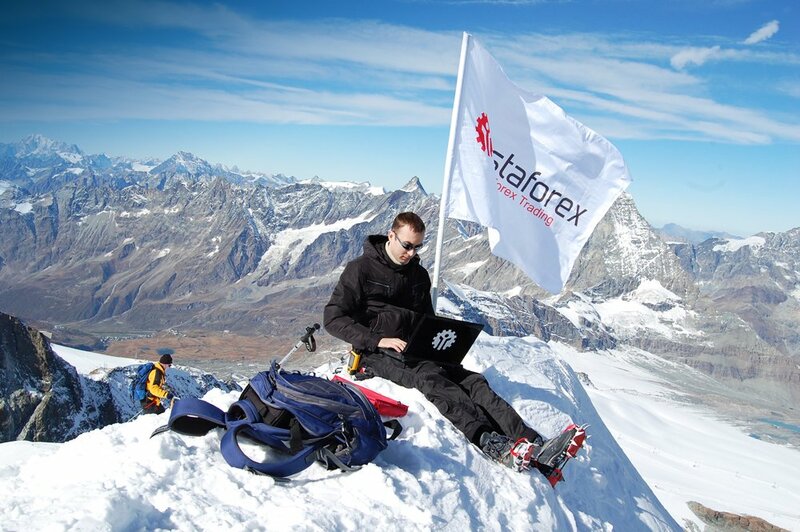 Forex trading at the height of 4165 meters on the edge of the almost upright mountain slope is really trading on top! 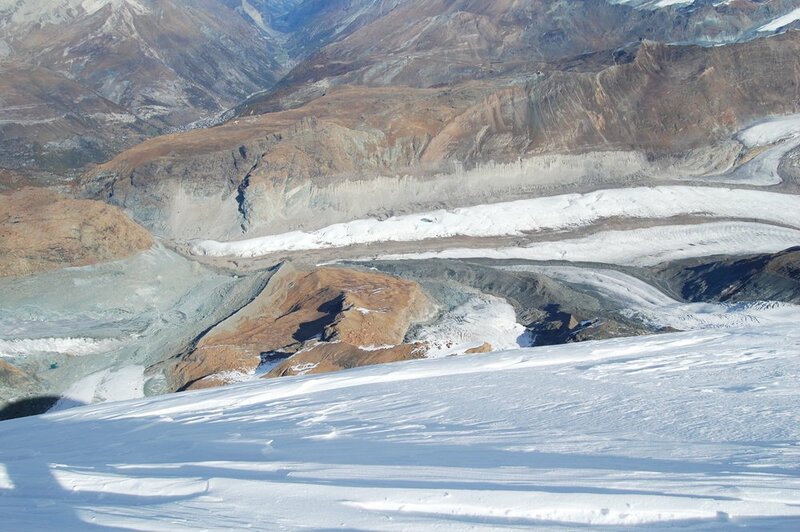 The GPS navigator seemed to suffer from the lack of the oxygen too and was steadily showing not the official western height of Mount Breithorn (4165 m), but almost 10 meters more – 4174 meters. 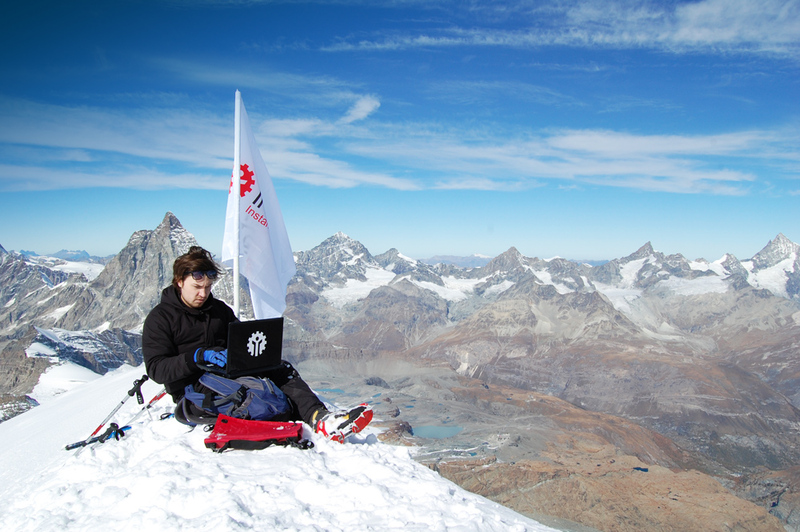 The helicopters with the lifeguard flying over were probably surprised by the flag that had suddenly appeared on the very top of Breithorn.